A cell from the closing "jokes" segment of the extremely popular Magical Medicinal Merchant Machine Sponsored by Pfride Pharmaceuticals. Mom is seen here making a wacky remark at the expense of Dad while Red Brick and his pals guffaw. 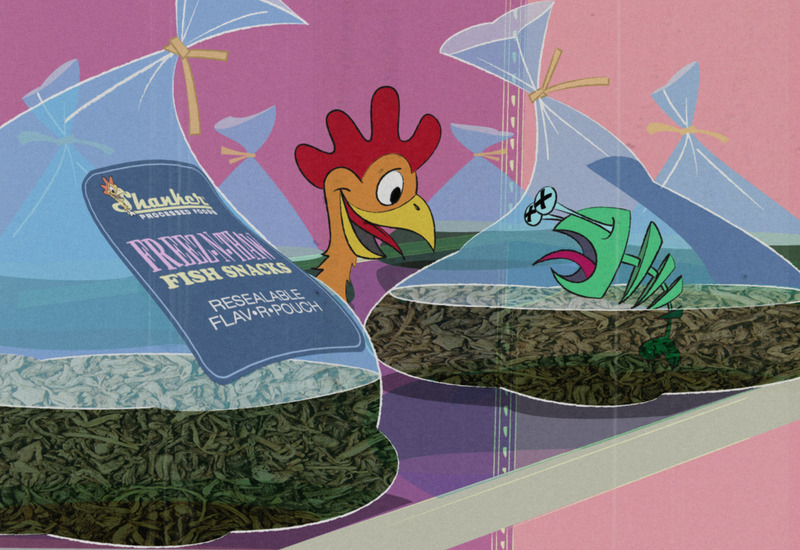 The feature-length film Feast 'n' Fiesta featuring Queen Glandul•Aire and her pals was the first film released after the heady days of the "Pfride Decade". The film was released on schedule along side Glandul•Aire’s new line of Glandulware Food Storage System. The film is considered a classic despite mixed reviews. In production when fire swept through the Shanker Building in June of 1978 Proceeds from Sloppy Seconds helped rebuild Shanker in 1980. The ‘70s began a slow, painful decline for Yeeeoww, then known as Yeeeowwalczyk Productions. Crocker, who was now in his sixties, suffered a heart attack in early 1971. By December he was back to work just in time to see Butane bypassed by Interstate 40. This prevented motorists from patronizing Butane’s various establishments. June 17, 1978 is a day indelibly etched in the minds of all Butanians: the Shanker Processed Food factory fire. What was originally thought to be arson turned out to be faulty wiring within one of the company’s machines. Yeeeowwalczyk Production’s Magical Medicinal Merchant Machine Sponsored by Pfride Pharmaceuticals proved to be a bright spot in the decade for Yeeeowwalczyk Productions. 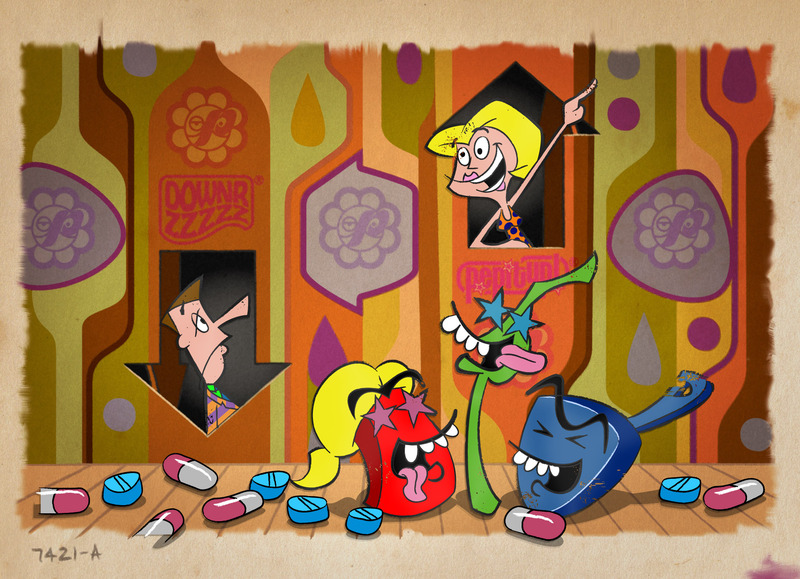 Premiering in 1969, It remained on the air throughoutthe first half of the seventies. 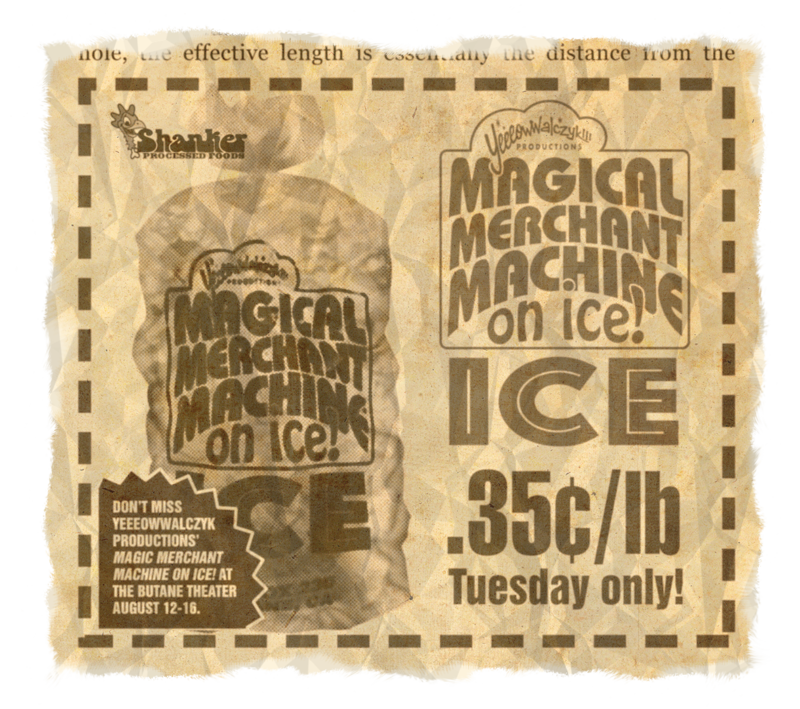 To capitalize on the Magical Merchant Machine franchise Crocker decided to take it live– on ice! Shanker Processed Foods sponsored the show and also sold themed products. With the city of Butane reaching temperatures of 115 during the summer of '72 the skating rink never fully froze leaving the Magical Merchant Machine on Ice without ice. 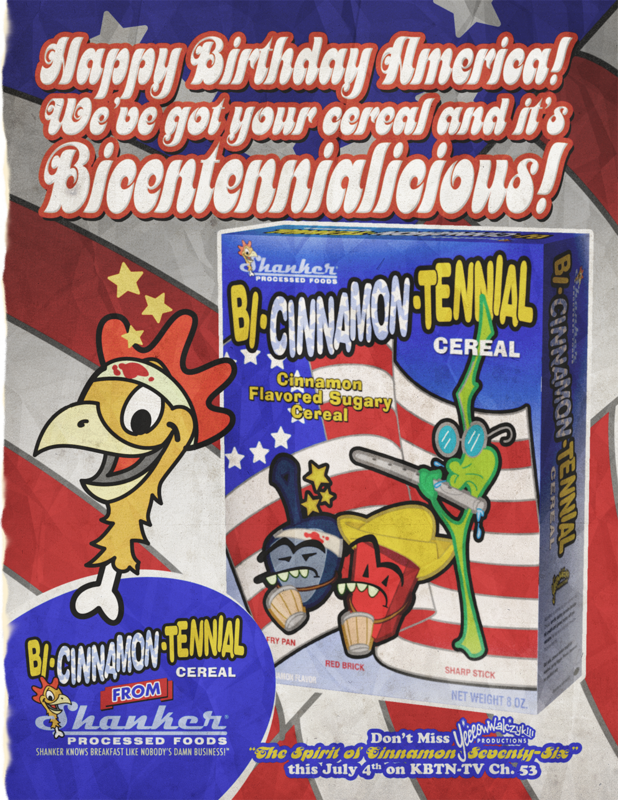 To commemorate the country's 200th birthday, and promote this cinnamon flavored cereal from Shanker Processed Foods, an animated TV Special — The Spirit of Cinnamon-Seventy-Six — was produced by Yeeeowwalczyk. The special continues to be enjoyed every July 4th on KBTN-TV Channel 53. 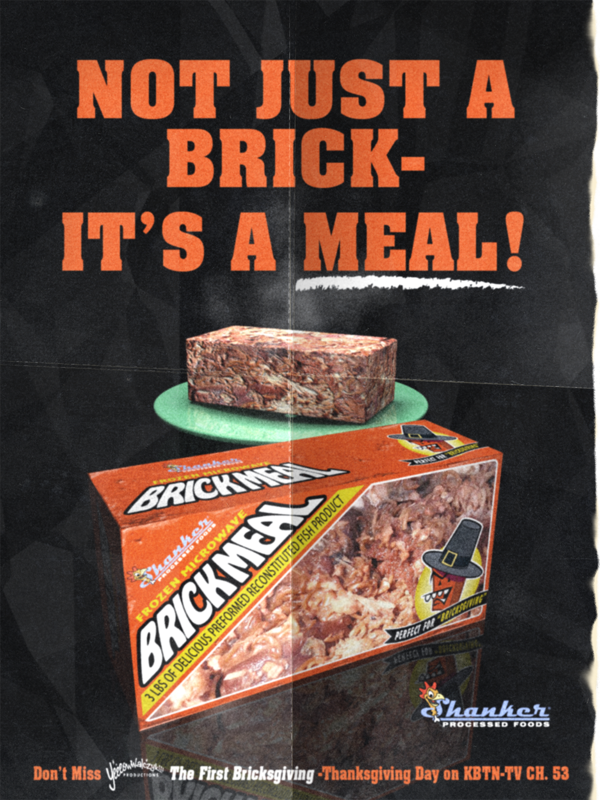 The Shanker BrickMeal was produced in conjunction with the Red Brick Thanksgiving TV Special The First Bricksgiving that continues to air yearly on KBTN-TV channel 53.